Malcolm and I could no more be separated than green from grass. My daddy had forbidden me to play with him, on account of his being coloured. 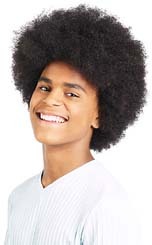 Though little by little I came to understand the barriers between Negroes and white folks, back then I knew of no rule about two boys not being friends. The most important thing in David’s life is his friendship with Malcolm. In a secret ceremony in a cave they even become blood brothers. But this is 1950s Tennessee, and Malcolm is black. One day David’s fiercely racist father lays down a terrible threat. If Malcolm ever enters their home, he will kill him. David tries to change his daddy’s mind, but what will happen if Malcolm ever crosses the line? Bone By Bone By Bone by Tony Johnstone is a powerful and haunting book, countering the horror of racial hatred with a lyrical tribute to childhood friendship. 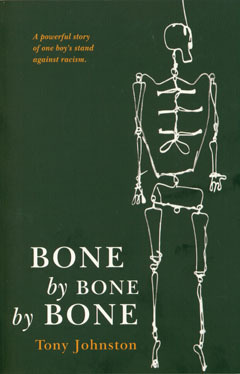 Bone By Bone By Bone by Tony Johnstone is available to buy now.